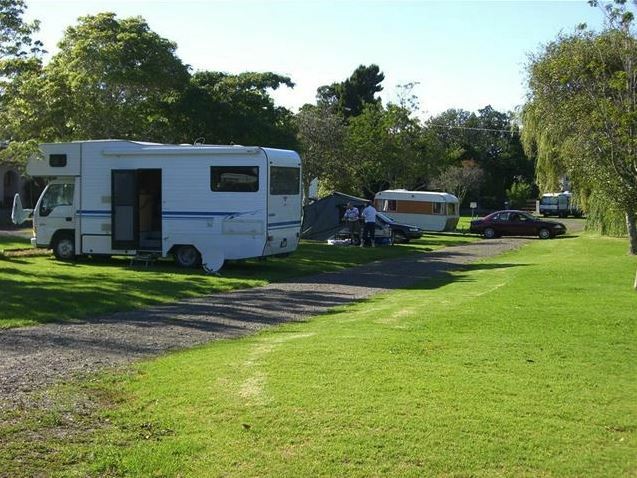 Our accommodation ranges from park motels to cabins and spacious tent sites, we have accommodation to suit every style and budget. 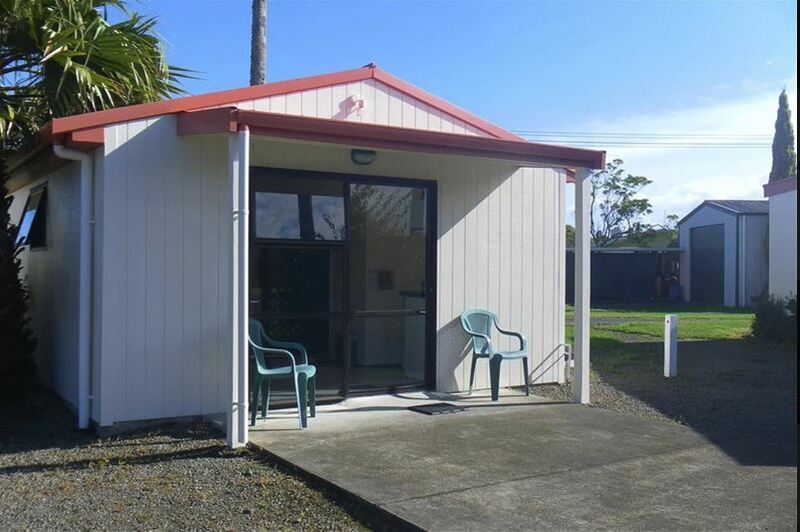 Enjoy a dip in our swimming pool, kayak along the river, fish from the wharf or enjoy a native bush walk, there is plenty to see and do during your holiday at Opotiki Holiday Park. 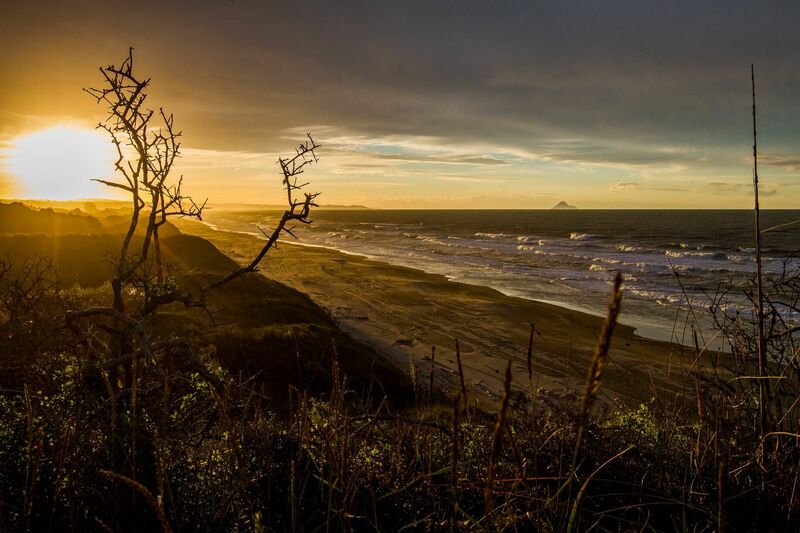 The guest will be charged 50% of the total price if they cancel in the 7 days before arrival. Our central amenities building provides toilets, token metered showers, laundry, kitchen, dining room and TV lounge. 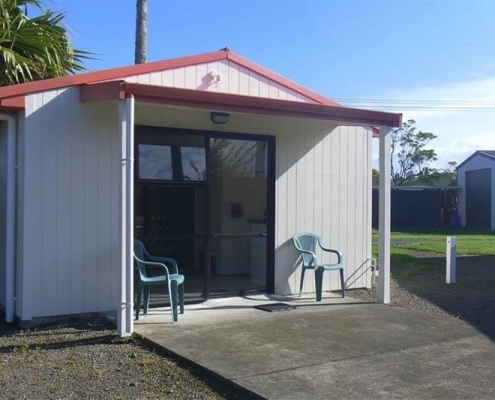 The Park Motel has a wheelchair accessible WC and shower, a queen sized bed in one room, and a double bed in the second room (all linen supplied). 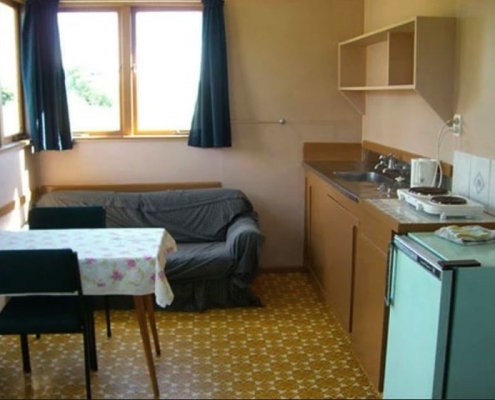 There is a fully equipped kitchen/living area with freeview TV. Adjoining the unit is a north facing patio area. Sorry no pets allowed in this unit. 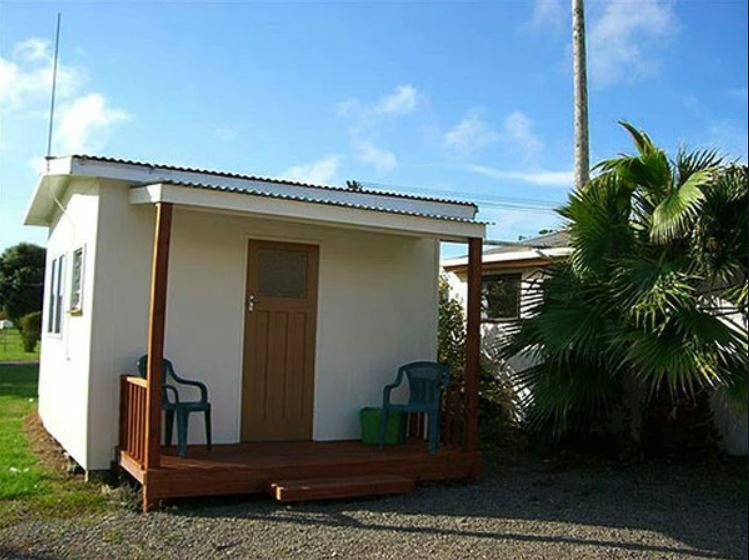 These self contained units have a double bed in the bedroom with an ensuite WC and shower (all linen supplied). In addition there are two single bed settees in the living area/equipped kitchen with freeview TV. There is also a self contained unit with two single beds in the bedroom and a sofa bed in the kitchen/living area with freeview TV. Sorry no pets allowed in these units. 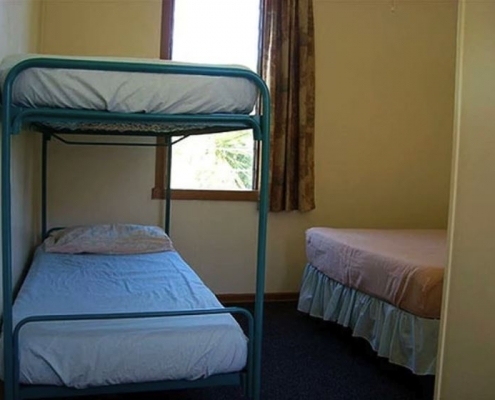 The self contained unit has a queen sized bed and a pair of childrens’ bunk beds in the bedroom, with an ensuite WC and shower (all linen supplied). In addition there is a double sofa bed in the equipped kitchen/living area, with freeview TV. Dogs are permitted in this unit by prior arrangement. 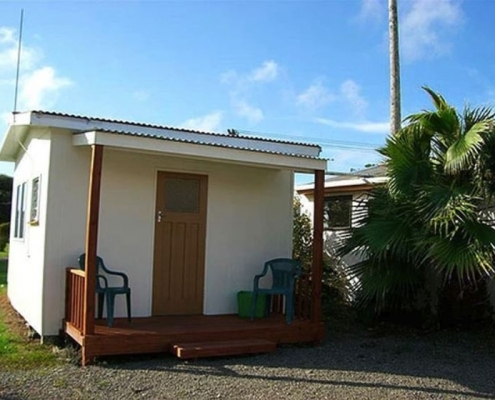 These kitchen cabins have two single beds (linen and towels are available for hire, if required). 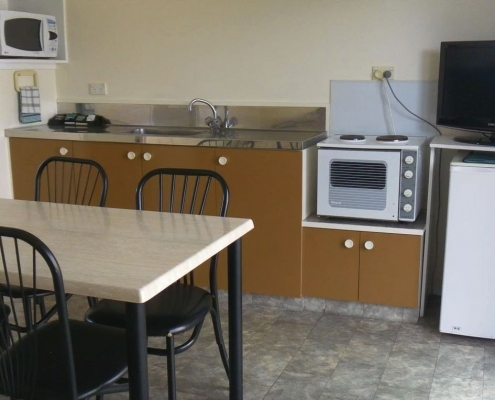 There is also a kitchen, with hotplate, fridge, jug, toaster, pots and cutlery. Toilets, token metered showers and TV lounge are in the amenities building nearby. Dogs are permitted in the cabins by prior arrangement. 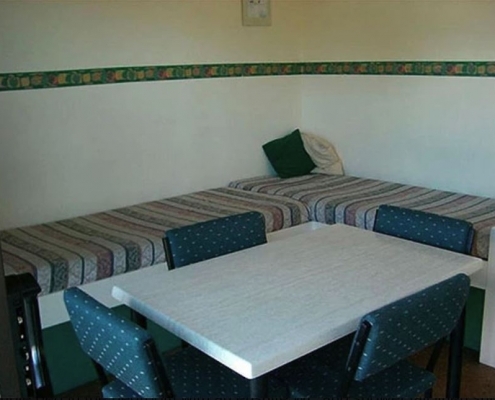 The family kitchen cabins have a double bed and a pair of childrens’ bunk beds in the bedroom, with a bed settee in the adjoining kitchen/living area. Bed linen and towels are available for hire, if required. 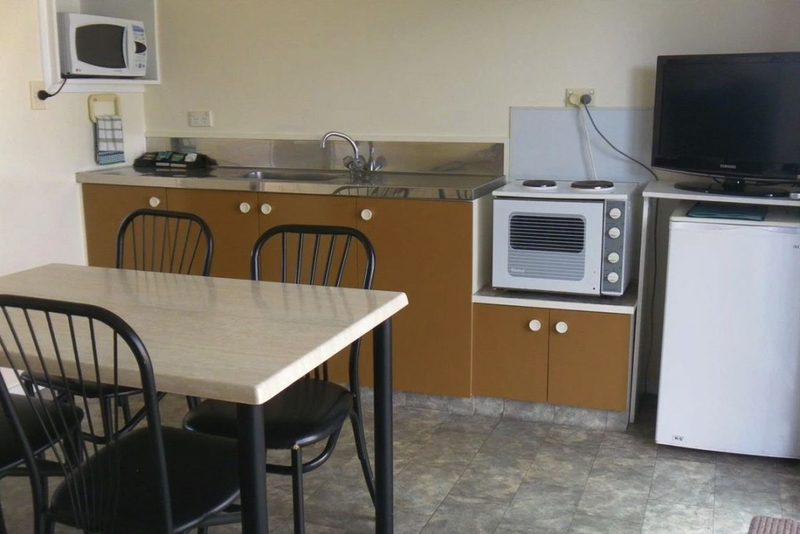 In the kitchen there is a microwave, hotplate, fridge, jug, toaster, pots and cutlery. This cabin has a duo bunk (double bed with single over the top). 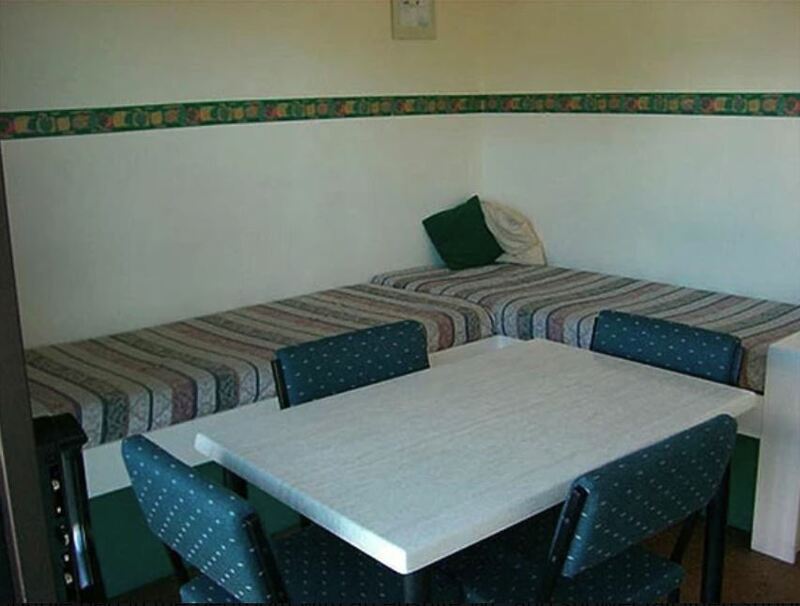 Bed linen and towels are available for hire, if required. 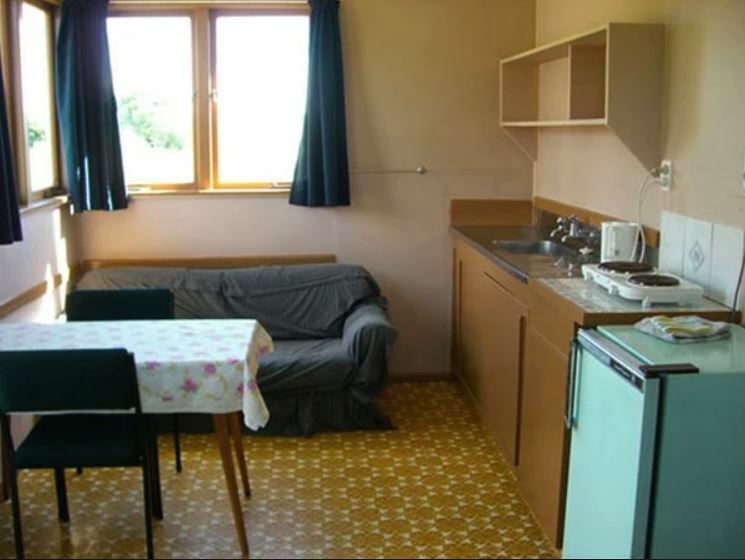 In the kitchen there is a microwave, hotplate, fridge, jug, toaster, pots, crockery and cutlery.